This holiday season, Give a Little Kindness by making a donation or becoming a Big. This holiday season, “Give a Little Kindness” through Big Brothers Big Sisters. Every donation and person that signs-up to be a Big will be counted as one act of kindness towards our goal of 10,000 before the end of the holiday season. Help us reach that goal and spread a little kindness by donating or volunteering. 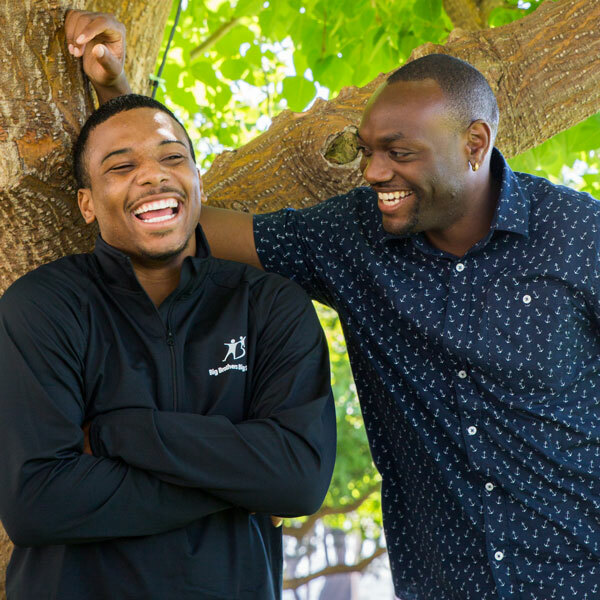 This holiday season, we want to share a story about Little Brother Terrell and how an act of kindness shaped his life for the better. Terrell’s childhood had been traumatic. Both of his parents were incarcerated, his younger brother had died, and he was separated from his older brother and baby sister. He struggled with trust and anger. Big Brother Terence had been a Little himself, and he wanted to pay it forward by bringing kindness and caring into a child’s life. He was matched with Little Brother Terrell, who was 11. “Terence stepped right in and before I knew it, I could see the light start to glow in Terrell again,” Terrell’s aunt says. Now, Terrell is focused on his future. He is following in his Big Brother’s footsteps by joining the National Guard, and he plans to go to college and become a dentist. Because Terence decided to spread kindness by becoming a Big Brother, Little Brother Terrell had a role model that shaped his entire life. One day, he aspires to become a Big Brother himself. Help make sure more kids like Terrell have a Big like Terence. Consider making a gift to BBBSA today. Thank you for making a Big difference this holiday season. Social media offers plenty of opportunities to help us reach our goal of 10,000 acts of kindness. Find out how you can support Big Brothers Big Sisters and spread a little kindness socially.